The Computer Science and Engineering (CSE) Division of the Electrical Engineering and Computer Science (EECS) Department at the University of Michigan (UM) traces its formal founding to 1957 with roots in the 1940s. This history highlights some of the major events and recognizes a few of the many dedicated and visionary people that contributed to the development of a formalized program in the field of computer science and engineering at UM, resulting in the current CSE Division. Research into the areas now recognized as computer science and computer engineering at UM began in the years following World War II. Technology developed for the war effort opened doors for further inquiry, and researchers of different backgrounds were motivated to define and expand this new terrain. Michigan alumnus Arthur Burks helped create the ENIAC and inspired early work at Michigan after joining the faculty in 1946. He became the first full-time Chair of CCS in 1967. Arthur W. Burks, who received his PhD in philosophy at UM in 1941, had participated in the design of the Electronic Numerical Integrator and Computer (ENIAC) at the Moore School of Electrical Engineering at the University of Pennsylvania from 1943 to 1945. Developed for the War Department, the ENIAC was the first general-purpose electronic digital computer capable of being reprogrammed to solve a range of computing problems. In that work, Burks was associated with J. Presper Eckert and John Mauchly of the Moore School, Herman Goldstine of Aberdeen Proving Grounds, and John von Neumann of the Institute for Advanced Study (IAS) at Princeton. Burks and Goldstine accepted an appointment to join Von Neumann at IAS, and the three published their seminal 1946 paper, “Preliminary Discussion of the Logical Design of an Electronic Computing Instrument,” which described the architecture for a general-purpose computing machine. Burks joined UM in the fall of 1946 as an assistant professor of Philosophy. In 1949, with the aid of funding from the Burroughs Corporation, Burks established UM’s first research effort in the field of computers. One result of this early collaboration was the concept of a push-down store for evaluating parenthesis-free logic expressions in the so-called Polish notation, and Burroughs incorporated this idea into their B5000 computer. Outside of Burks' work, other activities in the realm of computing at UM were taking place. MIDAC, the first digital computer developed at UM. The first digital computer developed at UM was the Michigan Digital Automatic Computer (MIDAC), which was built at the University’s Willow Run Research Center, an off-campus center devoted to defense research projects. Under the sponsorship of the Wright Air Development Center and the US Air Force, work began in 1951 and MIDAC became functional in 1953. MIDAC was large, requiring 12 tons of refrigeration equipment to cool its 500,000 connections and tubes. MIDAC was primarily used for defense work and was not readily available for undergraduate use. Consequently, although undergraduate courses in numerical methods and in machine language programming were taught in 1952 by John W. Carr III of the Department of Mathematics, few students had the opportunity to run their programs. The MIDAC was ultimately shut down in 1958, having by then outlived its usefulness. 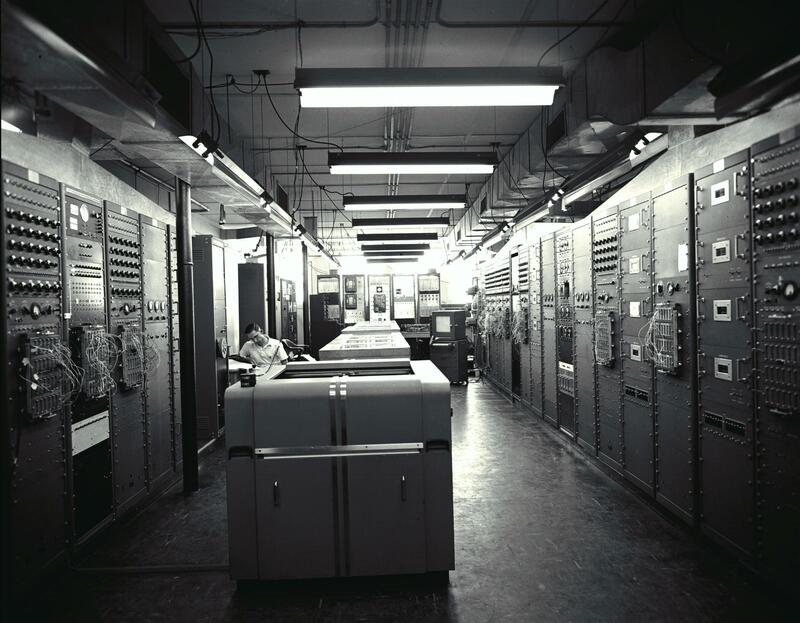 Computational facilities for the University's academic programs became available in 1956 when UM got its first IBM 650, which was housed at UM’s Statistical Research Laboratory. That computer was used by students in the offerings of UM's introductory computing course, Math 73, first taught by Bernard A. Galler in the winter 1956. Galler had joined UM in 1955. In 1956, Burks was approached by John H. Holland, who had recently completed his master’s degree in mathematics at UM and wanted to write a thesis on computer logic that would not be an appropriate fit for the mathematics department. It just so happened that Burks was about to undertake an effort in collaboration with Gordon Peterson of the Speech Department to develop the first formal program of study at UM related to computing. Gordon Peterson cofounded the graduate program in Communication Sciences with Arthur Burks and helped establish the undergraduate program. Peterson had joined UM in the Department of Speech as an assistant professor in 1953. He was interested in acoustics and phonetics, and his Speech Research Laboratory was active in building electronic equipment for analyzing speech, making recordings in an echoless room, and studying the basic phonetic patterns of speech and speech synthesis. Peterson and Burks found that their research groups shared a common ground and had the same educational problem: graduate students who wanted to do doctoral dissertations on the subjects covered by their grants but who lacked a suitable program. Both felt that Peterson's interest in communication and Burks' interest in computation constituted an appropriate basis for a new doctoral program. Accordingly, they petitioned the Graduate School and in 1957 were granted the power to award the Ph.D. and M.A. degrees under a program entitled, "Language Models and Logical Design." That name was quickly changed to "Communication Sciences." A number of other UM faculty had related interests: Gunnar Hok (Electrical Engineering – information theory), Anatol Rapaport (Mental Health Research Institute – mathematical psychology), Robert Thrall (Mathematics – operations research), Edward Walker (Psychology – cognition), and Herbert Paper (Linguistics). With Peterson and Burks, they constituted the committee for the Communication Sciences graduate program. Bernard Galler joined Michigan in 1955 and taught the first introductory programming courses. Peterson served as chairman of the graduate program, and Holland was one of the first students to enter this program. In 1957, the same year that the graduate program launched, the ENIAC that Burks had helped to create was shut down. In 1964, Burks would be able to procure and reassemble at UM four of the system’s original 40 panels; it remains one of three significant standing displays of the ENIAC today and can be seen in the Bob and Betty Beyster Building on North Campus. One of Bernie Galler's students was Francis Allen (MA Math '57), who would go on to be recognized with the ACM Turing Award in 2006. Allen made seminal contributions in the areas of compilers, optimization, and parallelization in a 45-year career at IBM. Also in 1957, Bruce W. Arden and Robert Graham at the Statistical Research Laboratory began development of the Generalized Algebraic Translator (GAT), a compiler for the IBM 650 that simplified programming. The following year, in 1958, an international movement to create a standard programming language for scientific computing resulted in a proposed language called ALGOL (ALGebraic Oriented Language). GAT was used as the basis for UM's implementation of ALGOL58 (the first version of ALGOL), with Arden an active participant. The two published a paper on their GAT work in 1959. 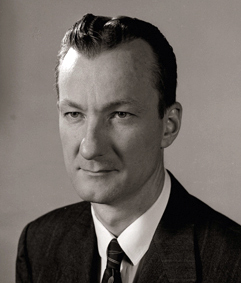 John Holland received the first PhD in Communication Sciences in 1959. The first Ph.D. in Communication Sciences was awarded to Holland, whose thesis was in automata theory, in 1959. Holland subsequently served as a professor of psychology and computer science and engineering at Michigan. In 1959, the UM Computing Center was established as a "research and service activity of the Graduate School." Arden joined the Computing Center that year. Its first director was Robert Bartels, who served until 1978. The center installed a sequence of increasingly capable computers from its inception in 1959 through 1991 that were used for research and education. By 1959, researchers at UM and elsewhere were finding ALGOL58's specification too difficult or impossible to implement. Arden, Graham, and Galler changed the language significantly to address these shortcomings and by the time they finished believed they had a new product, which they named MAD (Michigan Algorithm Decoder). The Computing Center. Bruce Arden is standing and Bernie Galler is seated at right. 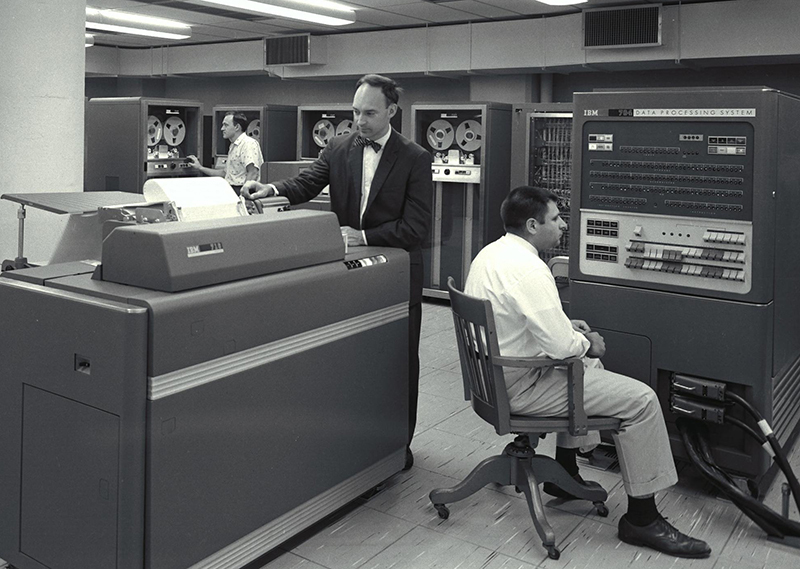 MAD first began working correctly in about February 1960, and was first used on the Computing Center's IBM 704. By that time a simpler to implement version of ALGOL, known as ALGOL60, had been proposed, but UM among other centers preferred to stay with their successful efforts rather than starting over. The MAD compiler for the IBM 704 was written in three parts: a front end written by Graham that included the parser, the back end written by Arden which created the machine language, and the middle section by Galler which tied it all together. MAD became universally used throughout UM for many years and also found acceptance at other places, such as MIT, the University of Maryland, and the Ford Motor Company. It was used in the famous air traffic control system SAGE. In April 1960, on recommendation of the Dean and Executive Committee of LSA, the Regents agreed that the name of Gordon Peterson’s Speech Research Laboratory should be changed to the Communication Sciences Laboratory, and that the lab would be established as a separate budgetary unit with Peterson reporting directly to the Dean of the College. Space and equipment for the former Speech Research Lab was transferred from the Department of Speech to the new Communication Sciences Laboratory. 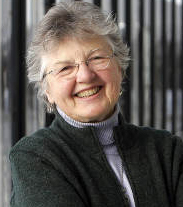 Michigan alumnae Fran Allen studied with Bernie Galler; she received the ACM Turing Award in 2006. An article in the January 1961 issue of the University Record announced LSA’s intention to expand the Communication Sciences program, then still a only officially a graduate program, to the teaching of undergraduates. In that article, Peterson emphasized the program’s unique scientific orientation and the ability of students to customize their education. It was, according to Peterson, "an academic-centered Program with strong emphasis on individual courses of study." Stephen Cook, who would be recognized with the ACM Turing Award in 1982, earned his BS on Math in 1961 at UM. Cook entered UM in 1957, before the undergraduate program was offered. He was introduced to computer programming in Galler’s freshman course and with a fellow student wrote a program to test Goldbach’s conjecture that every even integer greater than two is the sum of two primes. Cook is currently on the faculty at the University of Toronto where he is a professor of computer science and mathematics. This emphasis on breadth and exploration, at both the undergraduate and at the graduate level, made the Communication Sciences program unique. With a broad objective to understand information processing and communication in both natural and engineered systems, some faculty brought knowledge of psychological, social, linguistic, and biological systems. Others worked on the theory and application of electronic computers and electronic communication systems. All were interested in studying the interrelations of natural and artificial languages as modes of communication, and in comparing computational processes in natural and artificial systems. Students were able to take courses from the departments of Chemistry, Electrical Engineering, Linguistics, Mathematics, Philosophy, Psychology, and Zoology. Michigan alumnus Stephen Cook did his undergraduate work here; he received the ACM Turing Award in 1982. The program relied to a large extent on courses already offered by existing departments. Thus a student would learn about information theory from a course in electrical engineering, about the informational aspects of biology from courses in the biological sciences, and about man as an information-processing system from courses in psychology. While this plan worked well for areas taught by members of the program, it failed in other areas, because a student had to take several courses in order to cover the equivalent of one course of relevant material, and was, moreover, at a disadvantage in academic background. The program therefore gradually developed its own core curriculum. Students were also required to take a course in modern algebra and, when it became available, an advanced course in programming. After completing the core, graduate students were required to pass an integrative oral examination, with more specialized study and a preliminary examination to come later. Design of the core curriculum and participation in the qualifying examinations helped to acquaint a diverse faculty with the broad range of subject matter and, further, to define the focus and scope of the new discipline. Staff were needed to teach these new courses and the more advanced courses they soon generated. Two sources were tapped. First were young scientists in the Burks' and Peterson's original research groups, who were often employed on a temporary basis and were, at least initially, part-time. With few funds, the program had to rely on this category to organize and teach the needed courses up until several years after it became a department. The other source of new faculty for the program consisted of individuals already teaching at UM who joined the program to teach courses and work with the program’s graduate students. Henry Swain of Pharmacology introduced a course in the informational aspects of biology; Julian Adams of Biology later replaced him. Harvey Garner and Eugene Lawler of Electrical Engineering brought computer courses to the program. Bernard Galler (Mathematics and the Computing Center) and Bruce Arden and Larry Flanigan (also of the Computing Center), who had been teaching programming courses, added the programming courses. Paul Fitts, Arthur Melton, Richard Pew, Stephen Kaplan, and Walter Reitman all joined at various times to teach the informational aspects of psychology. 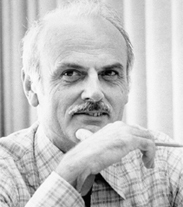 Michigan alumnus Ted Codd studied with John Holland; he received the ACM Turing Award in 1981. As of September 1964, 41 master’s degrees in Communication Sciences had been awarded and seven doctoral dissertations had been completed. 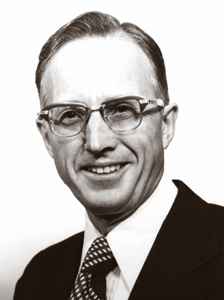 Ted Codd, who would be recognized with the ACM Turing Award in 1981, was an alumnus of the Communication Sciences graduate program, earning his Master’s in 1961 and his PhD in 1965. His thesis was in self-replication of cellular automata, and his advisor was John Holland. Amongst his career achievements, Codd developed the relational model of data in the late 1960s. When the Regents authorized the establishment of the Department of Communication Sciences, it notably inherited the name of existing graduate and undergraduate programs. Bernie Galler, who would serve as Chair of department from 1973 to 1975, said in a 2001 career interview with IEEEXplore, "We didn’t want to call it Computer Science because it wasn’t a standard computer science department – it had a great deal of interdisciplinary activity. We had a course on biological systems as information processors, and a course on behavioral systems as information processors, along with programming and other things normally found in computer science. The exception was that the numerical methods and the numerical analysis courses were still in the Mathematics Department, and we decided that we wouldn’t try to include those." In December of 1964, Peterson was appointed to serve as the first chair of the new Department of Communication Sciences with a five-year term to begin July 1, 1965. However, he did not serve in that capacity and left UM. John Holland, Bernie Galler, and Bruce Arden, as well as other faculty from the Computing Center, took appointments in the new department. In 1965, Communication Sciences was introduced as an undergraduate concentration program in the LSA Bulletin. Offered for the first time was CCS 200, "Introduction to Communication Sciences. Harvey L. Garner was installed as Acting Chair on October 1, 1965. This appointment was made retroactively by the Regents in January 1966. In February 1966, the Regents appointed Arthur Burks as Chair effective January 1, 1967, providing that he terminate an assignment at the Indian Institute of Technology in Kanpur, India and return to campus. As the number of computer users increased, the limitations of batch mode processing became evident. In 1967, Graham shared information about his 1966 trip to MIT, where he had observed their efforts in the area of timesharing. Computing Center staff, under the direction of Arden, drew up plans for MTS, the Michigan Terminal System, which replaced the use of batch mode, punchcard-driven computing with a multiprogramming, multiprocessing, terminal-based system that gave each user the impression that there were no other users. Close cooperation with IBM on timesharing led to the introduction of the IBM 360/67M, with the “M” standing for “Michigan.” The two Computing Center people who were the primary developers of all the details of MTS were Mike Alexander and Don Boettner. CCS faculty members including Galler, Arden, and Frank Westervelt also participated. One measure of their success is the fact that within a year of the installation of this first IBM360/67M, IBM had orders for forty more. 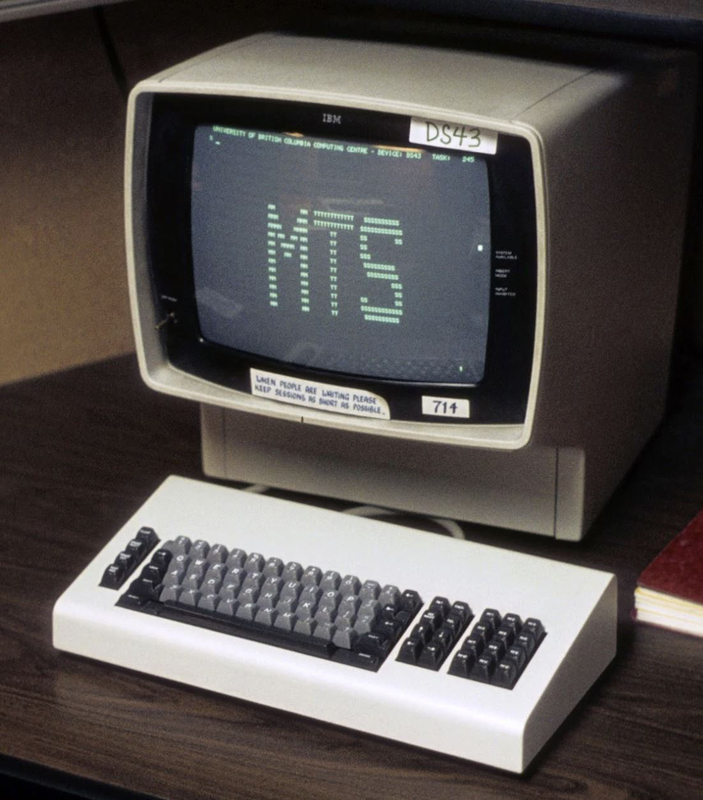 Other computing centers around the world adopted the use of MTS. Remote terminals were deployed across UM, and the system remained in use until May 30, 1997. 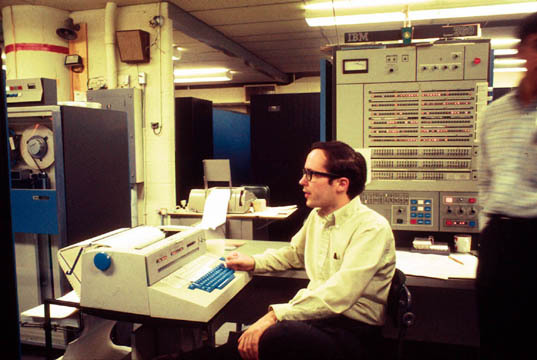 Mike Alexander of the Computing Center with the IBM 360/67. In 1968, The Regents approved a change in the name of the Communication Sciences Department to "Computer and Communication Sciences," known shorthand as CCS. According to Galler, "We changed the name a year or two later when we discovered that there was a department at Michigan State University called Communication Sciences, which was really a speech department. We found that we were forever explaining who we were. We changed the name to CCS, Computer and Communication Sciences, and that’s what it stayed until 1984." 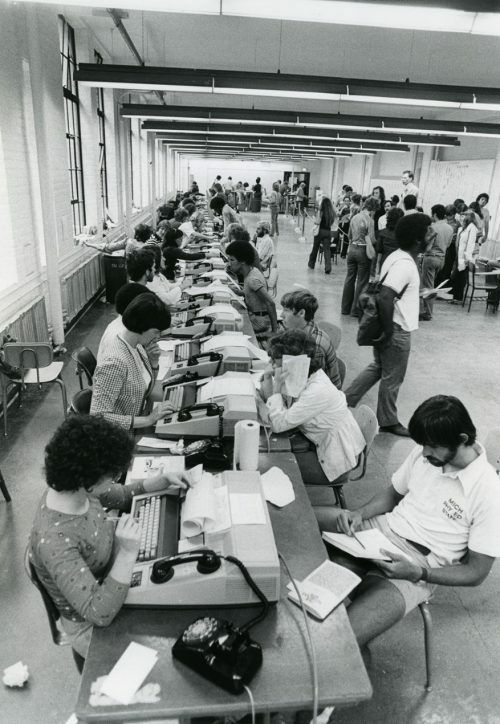 In 1972, the concept of CRISP, or Computer Registration Involving Student Participation, began in CCS 673, a course taught by Galler, which developed the concept for a computerized registration system. CRISP would be initiated as the official method for course registration at Michigan in 1975 and moved to a touchtone-based telephone system in 1994. By 1973, the undergraduate curriculum, while still highly science-based and interdisciplinary, began looking like more like a typical "computer" program than a "communication" program, with courses that included "Elementary Computer Techniques," "Elementary Computer Methods," and "Digital and Analog Systems." At the graduate level, there continued to be a balanced offering of courses on biological systems and automata theory in addition to what are now considered more mainstream computational pursuits. Students registering for UM classes using CRISP, the registration system that emerged from a concept in Galler's course. Galler served as CCS Chair from 1973 until 1975, when he became Associate Dean for Long-Range Planning in LSA. His successor was Larry Flanigan, who served as CCS Chair until 1981. In 1975, John Holland published "Adaptation in Natural and Artificial Systems," one of the most frequently cited works in the fields of artificial intelligence and evolutionary computing, with implications for fields as varied as psychology, neuroscience, economics, and linguistics. It led to the widespread acceptance of genetic algorithms as an optimization and search method in computer science beginning in the 1980s. CCS greatly expanded its program for undergraduate majors, so that by the late 1970s it had about 125 declared undergraduates enrolled at any given time. The department also developed its programming curriculum, with a rich and varied sequence of programming courses for both graduates and undergraduates. In 1976, courses were added for FORTRAN, ALGOL, SNOBOL, LISP, and COBOL languages. Moreover, as a department CCS continued to have from 60 to 80 graduate students enrolled each year in the late 1970s, most of whom aimed for the doctorate. In 1979, IEEE Annals of the History of Computing was established with Galler at the first editor-in-chief, a position he held through 1987. The continuing interdisciplinary orientation of the program served to make its graduates more adaptable, given the rapid rate of technological change in computing and communication. Many students came to Michigan because of this breadth, and it helps to account for the eventual widespread distribution of the program’s graduates. However, the program’s popularity outstripped its capacity and large classes and waitlists became frequent frustrations for students. In 1980, Gideon Frieder was selected as chair with a term to begin in 1981. In September 1982, he and Daniel E. Atkins III of CoE petitioned Vice-President for Academic Affairs Bill Frye for support in establishing a Computer Research Laboratory and for adding several CS and CE faculty. As 1982 came to a close, the department celebrated its 1957 founding in part by establishing a Distinguished Lecture Series. The first speaker in this series was John Vincent Atanasoff, who spoke on "The Beginning of Digital Electronic Computers" on November 9, 1982. According to Galler, "It was a very good department, but very nonstandard as far as computer science went because of our interdisciplinary nature, so we never really were rated in any of the computer science rankings. We felt fully justified in what we were doing because we turned out some excellent PhDs who ended up in research labs all over the country." Nonetheless, times changed, and in 1984 CCS would be merged into the College of Engineering. 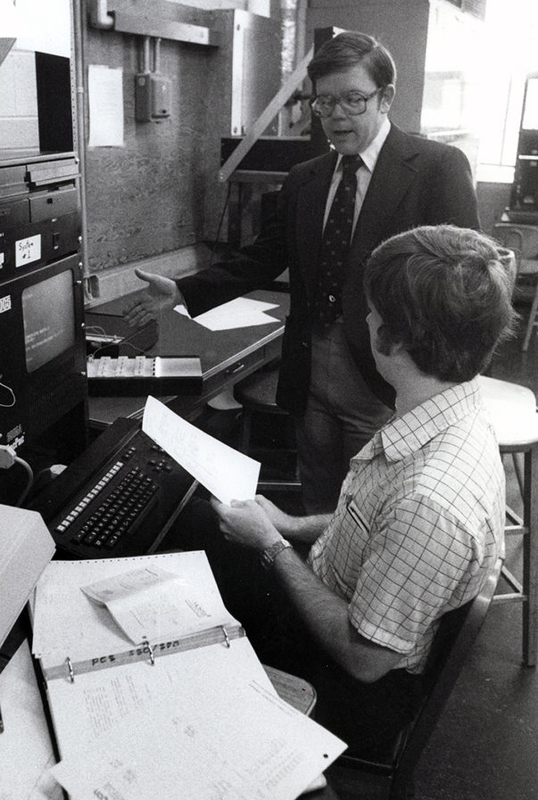 Even as the CCS Department grew and matured as it reached the mid 1980s, the study of and research into various aspects of computing at UM had become increasingly distributed as faculty across campus saw the need and potential for computing. Other departments, such as Aerospace Engineering, Chemical Engineering, Electrical Engineering, Mechanical Engineering, and the Business School had acquired computing resources and developed courses in computation tailored to their curricular needs. The Electrical Engineering department was increasingly interested in the theory and utilization of information processing systems and had begun offering its first digital computing courses in 1957. In 1968, three years after the CCS Department had launched, the Regents authorized an interdepartmental graduate program in the College of Engineering (CoE) known as Computer, Information, and Control Engineering (CICE). Its precursors were the Aerospace Engineering Department’s Information and Control Engineering (ICE) graduate program, originally founded in 1953 and which offered courses in guided missile controls, and the EE:Systems graduate program in Electrical Engineering, which had been formed in 1965 from the collected graduate-level activities in computing within EE. Spearheaded by AE and EE, CICE was in many ways engineering’s complement to the CCS graduate program, a multidisciplinary program that built in breadth while tying together the disparate threads of emerging computational studies at CoE. 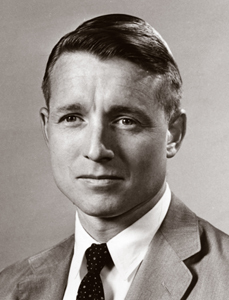 CICE was first chaired by William L. Root of Aerospace Engineering and was based in the East Engineering Building. Units participating in the CICE program included Electrical Engineering, Aerospace Engineering, and to a lesser extent Industrial Engineering and Mechanical Engineering. The CICE program was open to engineering students and also to Mathematics and Physics students in LSA. Degrees offered through the CICE program included the MS, MSE, and PhD in CICE, as well as a two-year professional degree called CICE Engineer. Among the topics covered in CICE were digital computers, analog and hybrid computation, information and coding theory, data transmission, theory of dynamical systems, feedback control systems, and large-scale systems. John F. Meyer was one of the few faculty with appointments in both CCS and in the CISE program, through his affiliation with EE. He recalls that Bell Labs had a particular interest in the CICE Engineer program because of its systems approach, and that some course sections would be 80% Bell Labs employees. In addition, Bell Labs worked with UM to devise a one-year program to suit its needs. CICE listed courses in computing and programming, including Programming and Data Structures, Software Engineering, Compilers, Simulation, Operating Systems, and Database Systems. These courses, taught by Larry Flanigan, Toby J. Teorey, and Bill Riddle, became listed as electives for the CCS graduate and undergraduate programs. Research conducted under the CISE program included investigations into computer architecture, feedback queuing networks, parallel computation, image processing an shape analysis, distributed systems, biomedical signal processing, sensor-guided control for computer-based robots, decomposition theory, graphic languages for robotic programming, and more. Many projects included collaboration with CCS and the Computing Center. CICE, with its hardware and systems focus, and CCS, with its focus on software systems and information processing, recognized that their two organizations were in many ways complimentary. The Chairman of the CCS Curriculum Committee was an ex-officio member of the CICE and vice versa. Among other recommendations, a 1977 review of the CICE program suggested that additional steps be taken to further coordinate between the two units. 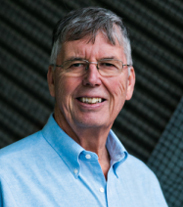 Michigan alumnus Michael Stonebraker studied with Arch Naylor; he received the ACM Turing Award in 2014. In the decade and a half since its founding, CICE grew to well over a hundred students, with 43 affiliated faculty from five different engineering departments, and a curriculum of almost seventy courses. It was the graduate program for CoE students with an interest in computation. Faculty in CCS who participated in CICE included Larry Flanigan, Gideon Frieder, and John F. Meyer. Faculty in ECE who participated in CICE and later became affiliated with CSE included Daniel E. Atkins, John P. Hayes, Keki B. Irani, Ramesh Jain, Trevor N. Mudge, Norman R. Scott, Toby J. Teorey, and Richard A. Volz. Michael Stonebraker, who would be recognized with the ACM Turing Award in 2014, was an alumnus of the CICE program, earning his PhD in 1971. His thesis was on the reduction of large-scale Markov models for random chains. Stonebraker invented many of the concepts that are used in almost all modern database systems, and his work has been fundamental in enabling the big data industry. A May 1982 CSE interim report prepared for UM vice president Allen Spivey by Bernie Galler (CCS), Keki Irani (ECE), Toby Teorey (ECE), and Larry Flanigan (CCS Chair) described large enrollments and wait lists, excessive teaching loads, and shortages of resources that were hampering progress in the CCS, CICE, and ECE areas of computer science and engineering at UM. That report noted that close cooperation between three units had existed for years and that their combined realm of CSE was experiencing runaway growth. Although no recommendations were made, a need to better address computing at UM was clearly articulated. On January 27, 1983 the Review Committee for the CICE graduate program published its report and pointed to the fractured nature of computing and information systems at UM and its subsequent negative effect on enrollment, faculty recruiting, and national ranking. Noting that top schools in computer science/engineering were much better unified, its principal recommendation was to restructure computer science and engineering at UM. On February 18, 1984 a Memorandum of Understanding between the Deans of Engineering and LSA was issued that recommended that the CCS Department and the CICE program be incorporated in a Computer Science and Engineering (CSE) Division of a newly named Electrical Engineering and Computer Science (EECS) Department. These organizational changes were approved by the Regents at their February 1984 meeting to take effect July 1984. The new EECS Department would offer three undergraduate degrees: Electrical Engineering, Computer Engineering, and Computer Science, and though the Department would be fully responsible for the CS program, the degree would remain an LSA one. At the graduate level the number of degrees awarded by the Department also increased, with the Master of Science in Engineering (M.S.E), Master of Science (M.S.) and Doctor of Philosophy (Ph.D.) available in three areas: Electrical Engineering (EE), Electrical Engineering:Systems (EE:S), and Computer Science and Engineering (CSE). The summer of 1984 was a very busy one. To integrate the ECE, CCS, and CICE courses into a new program, it was necessary to change their numbers and prerequisites. Revision of the courses themselves was an on-going task, particularly through 1984, and creating the new graduate program was also a major job. The CCS and most of the CICE faculty took appointments in the new department as of Fall 1984. The two parts of the Department were officially referred to as Divisions and were initially headed by Division Chairs. One of the Division Chairs would also serve as the Department Chair. 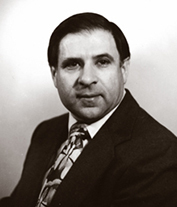 In 1984, the Chair of ECE was George I. Haddad. The first Chair of CSE was Frieder, who had chaired the CCS Department in LSA for the previous three years. Haddad also served as the first EECS Chair. A 1986 restructuring resulted in three divisions (one of which was still CSE), with each headed by Division Associate Chairs, rather than Division Chairs. That same year, John Holland joined a number of Nobel laureates in physics and economics to found the Santa Fe Institute, the premier institution devoted to the study of complex systems. Up to his death in 2015, Holland would serve as an external professor and member of the executive committee of the board of trustees at SFI. Lynn A. Conway, who had made foundational contributions to VLSI and superscalar computer architecture and who had collaborated with Carver Mead of Caltech to innovate scalable MOS design rules and highly simplified methods for silicon chip design, joined EECS in 1985 and also served as Associate Dean of Engineering. She worked on visual communications and control probing for basic system and user-interface concepts as applicable to hybridized internet/broadband-cable communications. Her presence at UM helped to attract faculty to the fledgling architecture program. 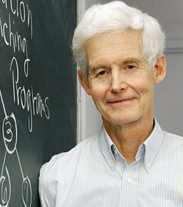 Conway retired from active teaching and research in 1998. The 1980s saw the establishment of a lab structure that would, with some variation over time, organize the division's research activities. The Advanced Computer Architecture Lab (ACAL) was established in 1985 with John P. Hayes as director; the Real-Time Computing Lab (RTCL) in 1985 with Kang G. Shin as director; the Robotics Lab in 1984 with Ramesh Jain as director; and the Software Systems Lab (SSL) in 1989 with Bernie Galler as director. In 1985, the ACAL lab purchased an early 64-processor NCUBE supercomputer to be used by investigators, including Trevor Mudge, which kicked off large-scale parallel computing research and development on campus. Mudge and his collaborators published a number of papers over the next few years on the potential offered by parallel computing architectures. The ACAL group at UM would go on to distinguish itself through the pursuit of a number of projects related to high-performance computer architectures. Beginning in 1986, RTCL undertook projects, built a 19-node hexagonal mesh multicomputer called HARTS under an NSF grant. This included the design and implementation of a programmable routing controller, a real-time operating system called HARTOS, and a synthetic workload generator. The HARTS project was instrumental in creating many exciting results on packet routing and scheduling, as well as system software, and educating graduate students who later became renowned in their own fields. The Center for Information Technology Integration (CITI) was founded in 1986 by Daniel Atkins, Richard L. Phillips, and Douglas van Houweling to catalyze the modernization of the University's IT infrastructure, specifically the move from a mainframe-centric cyberinfrastructure to a workstation-based (and eventually Internet-based) environment. The first director was Bertram Herzog and the center’s first major project was the IBM-funded Institutional File System (IFS) project (1986-1992), which was used extensively by UM, and in NFSv4, the emerging Internet standard for distributed filing. In the 1990s, in joint work with CITI, the Lightweight Directory Access Protocol (LDAP) was developed by graduate student Timothy A. Howes and has become a widely used standard. The Robotics Lab was superseded by the Artificial Intelligence (AI) Lab In 1988. The AI lab continued to investigate computer vision systems and robotics, which was a focus for Jain, but broadened to encompass intelligent systems and cognitive architectures, which was the focus of work being conducted by John Laird and others. Laird was pursuing work into Soar, a general cognitive architecture that he had been developing since his graduate study at Carnegie Mellon, and which he ultimately commercialized. 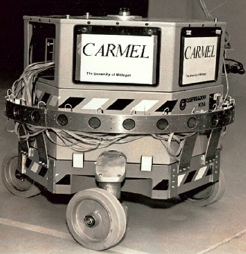 In the area of autonomous robotics, major early initiatives included a collaboration with Mechanical Engineering on CARMEL (winner of the first AAAI mobile robotics competition in 1992), the DARPA Demo-II program (which placed 2nd in the US Army 1st ground robotics competition in 1993), and RHEX (a biologically-inspired legged robot). Robotics research included robotic manipulation, vision sensors and controllers, gait regulation, and computational neuromechanics. By 1995, CSE began holding annual retreats for their faculty off-campus. Topics of interest included research, faculty search, new courses, and special topics of general interest to the faculty and students. Toby Teorey, who was CSE Associate Chair, took a number of steps to give the CSE program more national visibility and get into the national rankings; until then the program was not ranked. Daniel E. Atkins (standing) led efforts in collaborative computing that resulted in projects such as the JSTOR database. He left EECS to become the first Dean of the School of Information. In 1995, work led by Atkins in the area of digital collaboration led to the release of JSTOR, the first academic journal database. Today, JSTOR hosts more than 10 million journal articles and 45,000 books. In 1996, the School of Information and Library Studies was rechartered as the School of Information (SI) with Atkins serving SI’s first Dean. Many CSE faculty took partial appointments in SI and the two units have enjoyed many collaborations since. In 1999, Holland played a role in the founding of the Center for the Study of Complex Systems (CSCS) at UM. His reputation was often a drawing card for many of CSCS’s new faculty. Based in LSA, the center continues to this day to be a broadly interdisciplinary group that studies systems, from flocks of birds to the Internet, and collective behaviors that can transcend the capabilities of constituent parts. Holland’s interests in complex systems led him on a path away from what was evolving as the mainstream of CSE, and he become less directly active in the department and more engaged in projects through CSCS. In March 2000, CoE Dean Stephen W. Director formed the EECS Futures Committee. This was charged with looking into the organization of the Department, with a focus on how to do better in CS. In an ensuing reorganization, it was decided that EECS would remain one department with one chair, but would now return to having two divisions instead of three: Electrical and Computer Engineering (ECE) consisting of the former ESE and SSE Divisions, and Computer Science and Engineering (CSE). Each Division would have an Associate Chair and an Executive Committee composed of four tenure-level faculty, with the Department Chair as an ex-officio member. Laird was the first Associate Chair for CSE under this structure. That same year saw the creation of a CS undergraduate degree in CoE. Prior to that, the only CS undergraduate degree available was in LSA, and though there existed the CE degree in CoE since 1971, there were problems with this arrangement. With the establishment of the new CS degree in CoE, CS would mean a stronger emphasis on software, in contrast to the CE degree where the emphasis would be on computer hardware and systems. Changes were made accordingly and the CE program was modified to complement the new CS degree. The CS degree in CoE (CS-Eng) was to have the same core computer courses as the CS degree in LSA (CS-LSA), but there were differences necessary to satisfy LSA and CoE college requirements. Students who wanted more of a balance between hardware and software could achieve this with either degree by choosing the appropriate elective courses. The first CS-Eng degree was awarded in December 2001. In order to obtain ABET accreditation for the two CS degrees, it was necessary to add five more credits in science to the CS-LSA degree. This would eventually prove a deterrent to students in LSA who wished to study CS, and together with the bursting of the dot-com bubble in 2000 and other factors, declared majors in CS-LSA began decreasing from a high of 171 in 2002 to an eventual low of 41 in 2011. At the same time, however, declared majors in CS-Eng increased rapidly, from 34 in 2001 to 193 in 2002. This was followed by a gradual decrease to 147 in 2005, and uninterrupted growth in the years to follow. CE saw a precipitous drop in declared majors from 424 in 2000 to 146 in 2005. Although the CE numbers would increase again, from 2005 onward, declared majors in CS-Eng would increasingly outstrip CE. In 2002, Mudge and Blaauw authored a paper with CSE alumnus Krisztian Flautner of ARM and graduate student Steven M. Martin that demonstrated a 48% power savings by combining dynamic voltage scaling with adaptive body biasing. That paper received the ICCAD Ten-Year Influential Paper Award in 2012. This was an early project in work that would continue and evolve on low-power architectures. In October 2002, the Regents authorized a new CSE Building on North Campus and appointed an architect. The 100,000 square foot building was designed “to provide a state-of-the-art instructional and academic facility to support computer science, information technology and related activities, and student learning spaces.” It was to feature openness and multiple spaces for interaction. Groundbreaking for construction of the project took place on November 21, 2003. In 2005, HV Jagadish co-founded and became Senior Scientific Director of the National Center for Integrative Biomedical Informatics (NCIBI), which was based at UM and which developed and disseminated tools for molecular biological research that involved vast amounts of diverse, multiscale data, an early application of what would come to be called big data. The center was active for seven years and produced tools that remain in use today. In early 2006, the new CSE Building was completed. When the CSE faculty moved in that summer, it brought them all together for the first time in one building. At the same time, the question of how the EECS Department should be organized came up again. It was decided that EECS would remain one Department, but with two largely autonomous Divisions, each headed by a Chair. There would no longer be a single Chair of EECS. Each division was given its own budget, sole responsibility for hiring and tenure decisions, and equal representation in College matters. The CSE Division was given responsibility for the CSE graduate program and the CS undergraduate programs in CoE and LSA. The ECE Division was given responsibility for the EE and EE:Systems graduate programs and the EE undergraduate program. The CE undergraduate program would be jointly administered by both Divisions. The new structure for EECS, which had been voted on by the faculty in January 2007, was approved by the Dean and went into effect upon Regental approval on May 1, 2008. This is the organization that remains in force to this day. As CSE grew to become a more autonomous unit, a number of factors aligned in the manner of a "perfect storm" – and this storm would produce much more rapid growth, increased breadth, and accelerated productivity for CSE. Contributing were the unification of all CSE faculty in the new CSE Building, which facilitated collaboration; the passing of the dot-com bubble, which had depressed enrollments in the mid-2000s; the growing stores of electronic and cloud-based scientific, medical, and corporate data; the increasing impact of social media, open-source programming and e-commerce tools; and the paradigm shift to powerful mobile computing that followed the release of the Apple iPhone in 2007. The short-lived Bob and Betty Beyster Bubbler on the fourth-floor balcony. Partially as a result of rapid program enrollment growth, from 2008 to 2015 the size of the CSE faculty, which had remained fairly stable at about 25 since the early 1990s, grew to a total of 74 by 2015. This brought new reach into established and evolving areas of research, including in computer architecture, networking and security, robotics and autonomous systems, big data and machine learning, medical informatics, mobile architectures and apps, and sensor networks. Many years had passed since Arthur Burks came to UM in 1946. Sixty years later, on September 4, 2006, Bernie Galler passed away at the age of 77. Then, on May 14, 2008, Burks also passed away at 93. On August 9, 2015, John Holland, the first alumnus of the Communications Program in LSA and Burks' protégé, died at 86. In 2012, the CSE Building was renamed the Bob and Betty Beyster Building in recognition of a $15M gift to CoE by four-time UM alumnus Robert J. Beyster and his wife Betty. 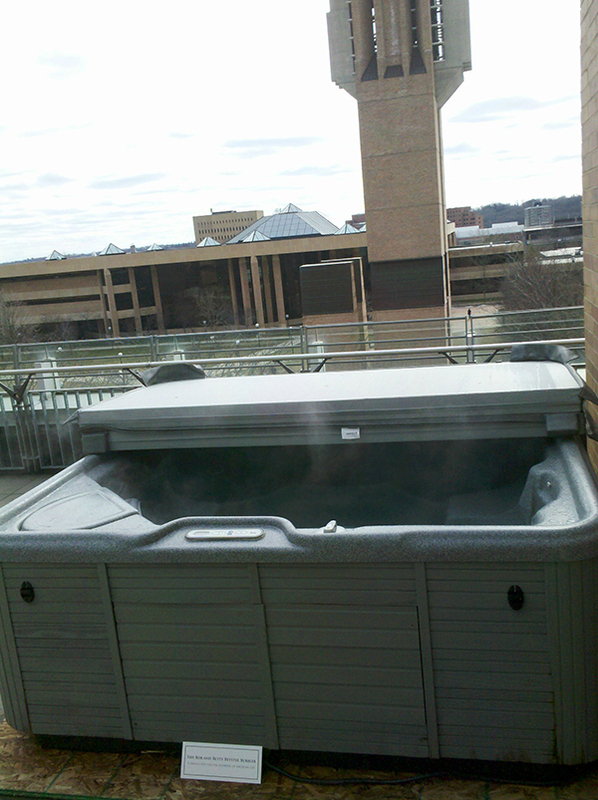 In an unusual salute to the Beysters, following the weekend of February 18th, a fully operational hot tub was discovered on the fourth-floor balcony of the building with a plaque identifying it as "The Bob and Betty Beyster Bubbler." This caused some consternation at the College and by February 21st, just before officials were set to dismantle it, the hot tub vanished without a trace. The first black woman to earn a PhD in CSE at UM was Kyla McMullen, who defended her dissertation on May 3, 2012. 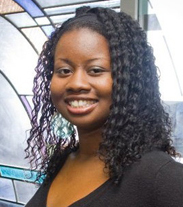 Kyla McMullen was the first black woman to earn a PhD in CSE, in 2012. 2008 was the first year for two new academic programs. The Computer Science Minor launched and while administered by CSE, the degree was issued through LSA. The minor was open to students in LSA (except CS students), the Business School, the School of Music, and Engineering (but not EECS students). In addition, an interdisciplinary undergraduate major called Informatics was launched through LSA with CSE, the School of Information (SI), and the LSA departments of Statistics and Mathematics participating. The program provided a grounding in programming, mathematics, and statistics, combined with a study of the ethical and social science aspects of complex information systems. Informatics was discontinued in 2015 and replaced by two programs: an undergraduate program in Information from SI, and a more scientifically-based program in Data Science offered by CSE and Statistics through both CoE and LSA. The first engineering student to graduate with a degree in data science was dual CS/DS major Ryan Schrader, who matriculated in December 2015. Trevor Mudge in a UM ARM lab in 2010. As computer chip circuit densities increased and the demands for powerful, pervasive, and mobile computation expanded, the evolution of computer architecture became a central technological challenge. Building on work which had accelerated over the previous two decades, CSE emerged as a powerhouse in this area, with investigators pursuing research from circuit to data center design. 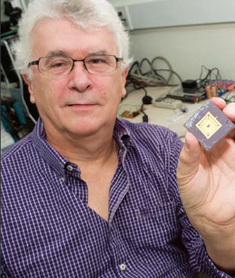 Trevor Mudge’s ARM Research Center, first founded in 2006, was renewed in 2011 to pursue advances in ultra-low energy and sustainable computing. It continues to this day and has become the longest running and most productive research center at the division. In 2013, the Center for Future Architectures (C-FAR), headed by Todd Austin and centered at CSE with the involvement of fourteen other major research institutions, was announced. The $28 million, five-year research center, funded by the Semiconductor Research Corporation, was chartered to support the design of the next generation of computers that will enable applications such as computer vision, speech recognition, enhanced graphics, and big data analysis. By 2016, CSE researchers had made Michigan number one in hardware publications for 12 years straight, and researchers including Todd Austin, Scott Mahlke, Trevor Mudge, and Thomas Wenisch each were included in one or more of the ISCA, HPCA, and MICRO Halls of Fame. J. Alex Halderman joined CSE in 2009 with an interest in security its impact on public policy and institutions. In a number of research projects from 2009 onward, he exposed the fundamental security shortcomings of many electronic voting systems around the world, including in India, Australia, Estonia, and in the US. In one broadly recognized instance in 2010, his team responded to an invitation to test Washington DC’s secure new Internet-based absentee voting system and were able to hack in, reprogram the system, and download voter lists, all in less than 24 hours. Halderman also highlighted weaknesses in common Internet security protocols and led development of tools to identify and characterize emerging threats on the Internet. With a goal of securing all servers on the Internet, he initiated development of Let’s Encrypt – an Internet certificate authority and server management service that would convert any website to HTTPS automatically and for free, which became functional in 2015. Edwin Olson, left, with his robotics team, which won the MAGIC competition. CSE’s Robotics Lab had been founded in 1984 and had become merged into the Artificial Intelligence Lab in 1988. Major thrusts related to robotics within AI included cognitive architectures, sensing and mapping, learning, and autonomy. 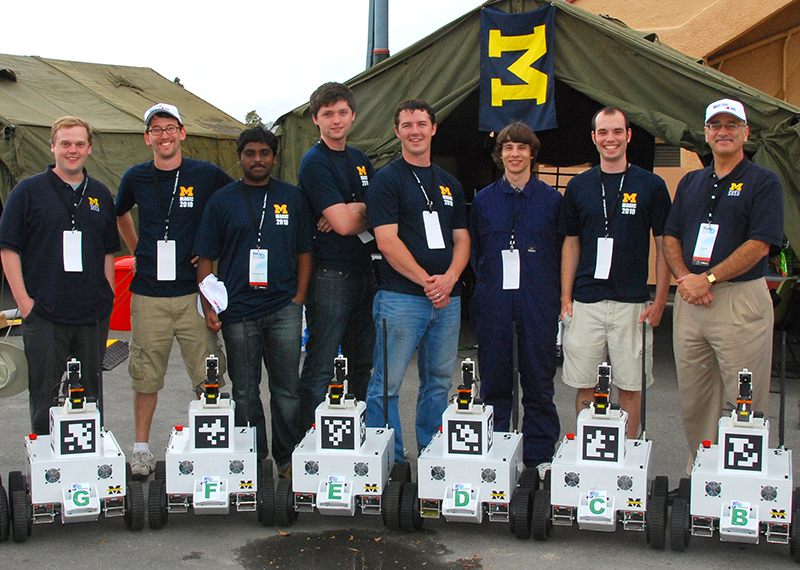 In the Fall of 2010, Edwin Olson led a team of students to win the Multi Autonomous Ground-robotic International Challenge (MAGIC), sponsored by the U.S. Department of Defense and its Australian counterpart. Olson’s team fielded a team of semi-autonomous wheeled robots that were able to create, share, and act on mapping and other acquired data. Before long, Olson leveraged this foundational work in research partnerships with Ford and Toyota to develop autonomous vehicle technologies. Beginning about 2009, a resurgent interest in hacking arose amongst students at UM and across the country. This was due to the growing availability of open source APIs and software development kits, ubiquitous networking, the impact of the iPhone and Android platforms on mobile computing, and the ability for students to organize and share their hacks via social media. Tech companies such as Yahoo and Facebook visited campus to evangelize and foster hacking, and Elliot Soloway added fuel to the fire with his twice-a-year 48-hour Mobile Apps hackathon. An early iPhone app built by Soloway’s students, DoGood, became a runaway success in the summer of 2009. DoGood suggested daily good deeds for users and allowed them to share news of their accomplishments. It began as a class project and was refined in Soloway’s 48-hour hack event. The students sold DoGood to digital media company Tonic after being adopted by 70,000 users. 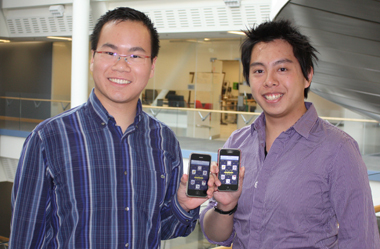 Students Mark Yang and Kevin Chan developed iWolverine, the precursor to the official UM app. In July 2010, UM released its first mobile app for the iPhone, which is still in use today. The "Michigan" app had begun life as a student-designed app called iWolverine and was built by CS students Kevin Chan and Mark Yang as a project in Soloway's class in Winter 2010. The two sold the app, which aggregated data on campus locations, buses, dining halls, events, campus news, and the UM directory, to the UM Information and Technology Service. A new student group, Michigan Hackers, formed in August 2012 to further support the creative urges technology hackers. The group created and hosted the twice-yearly MHacks event, which was to become one of the world’s premier student-run hack events. In 2013, it hosted 1200 students from around the country in an event held inside the Big House, UM’s football stadium. 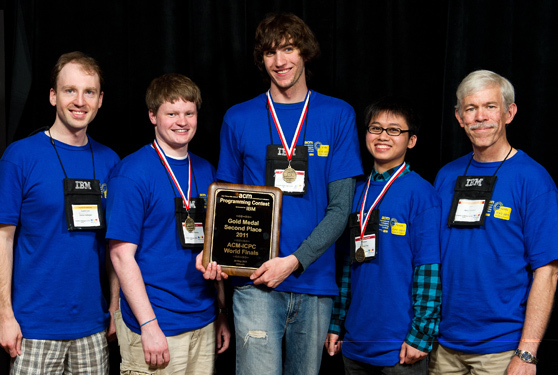 2011 Student Programming Team: Dennis Matveyev (coach), Jonathan Plotzke, Mark Gordon, Qifeng Chen, and Kevin Compton (coach). In May 2011, a team of three CS students coached by Kevin Compton and Dennis Matveyev of Ford placed second in the world in the highly competitive ACM International Collegiate Programming Contest. The team – undergraduate Qifeng Chen, graduate student Mark Gordon, and undergraduate Jonathan Plotzke – was one of only two teams to solve all eight problems in the competition. 8300 teams from more than 1,900 universities, 82 countries, and six continents had originally entered the preliminaries that led to the final competition. In 2010, Compton and Matveyev had coached a team to a tie for 14th place; Gordon, then a U-M senior, was also on that team. As Michigan celebrates its bicentennial in 2017, CSE looks ahead to a multitude of new challenges. Rapid growth in student enrollments and a much larger faculty have resulted in logistical challenges, and the Beyster Building, opened in 2006, is near capacity. More importantly, research into areas of CSE is further expanding, with projects and collaborations now underway with aims to develop more intelligent and naturally learning assistive agents; to leverage big data for applications in healthcare, governance, and security; to develop new transportation systems; and to develop the new architectures and algorithms to power future computation. 2003–2006 David C. Munson, Jr.